A crown is either a piece of porcelain or gold that is used to cover a damaged tooth. Crowns have many purposes. They help strengthen a damaged tooth, improve a tooth’s appearance and shape or align a tooth. A crown can also be placed on top of implants. This helps provide a tooth-like structure and shape. 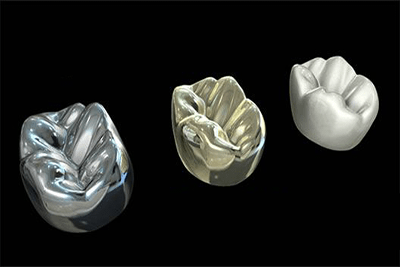 Porcelain and ceramic crowns are made to match the color of a patient’s teeth but any gold or metal crown can be seen. Because they can be seen they are usually placed on the back teeth. Gold and metal crowns are also stronger than porcelain. Why would you get a crown? There are a few different reasons as to why you would need to get a crown for your tooth. One reason is to replace a large filling in a tooth that does not have enough of the actual tooth remaining. They are also used to protect weak teeth from fracturing or to restore a fractured tooth. Crowns are also used to cover a root canal treatment or poorly shaped and discolored teeth. If you suspect any of these things are occurring contact your dentist. How are Crowns made and put in? 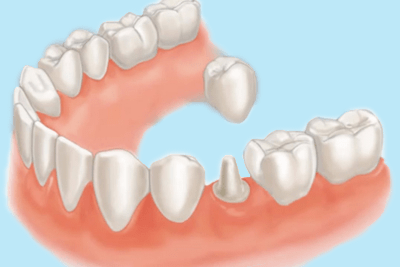 Before a crown is made your tooth may have to be resized. After the tooth has been resized your dentist will proceed to take a mold of your tooth and send it off to a dental lab to make the crown. A temporary crown will be put in the place of the permanent one when it is being made in the dental lab. 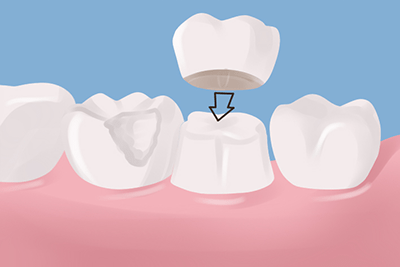 When the permanent crown is ready the temporary one will be taken out and replaced with the permanent one by being cemented in. Crowns should last a lifetime but they do have a tendency of becoming loose or falling out. You can prevent this by taking care of your crown. The way you do this is to practice good oral hygiene. Make sure you are brushing your teeth and gums , as well as using mouthwash twice a day and flossing at least once a day. The last thing to do would be to visit your dentist regularly for cleanings and check-ups and do not chew on anything too hard.